The far right has been on the rise internationally as many citizen around the globe feel themselves disaffected by globalization. How should the Left respond to this dangerous development. On this edition of Parallax Views, two guests join us to answer that question. 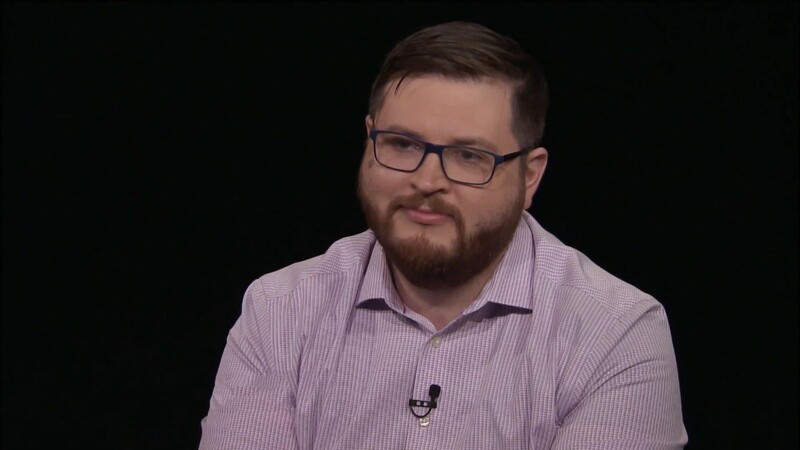 First up is Twitch gaming steamer Destiny aka Steven Bonnell II who has become popular for debating right-wing ideologues on topics like race, immigration, gun control, gender identity, and more. Then, noted antifascist activist and author Shane Burley rejoins the show to discuss the VICE’s Lords of Chaos, fascism and antifascism in the black metal and neofolk scenes, and the recent Christchurch terror attack in New Zealand. Our first guest is Destiny aka Steve Bonnell II, a video game streamer turned political debate maverick. Destiny fills listeners in on his journey into political debating from the gaming world and his transition from libertarianism to a more center left position. From there Destiny and I delve into his infamous debate with the popular YouTube and video game personality JonTron, which garnered coverage in TIME for showing JonTron’s transition to the alt right. We use this to discuss how much of the New Atheist movement went in an alt right direction. Destiny and I then discuss the right’s rhetoric of “facts don’t care about your feelings” and “realz over feelz” and why Destiny believes that it is actually these reactionaries who are arguing from a place of emotion rather than rationality. We then begin to discuss how Destiny tries to counter some of these arguments and how he views the people he is debating. Destiny argues against assuming that the vast majority of people he debates are acting in bad faith. We then discuss political debates as they relate to families, which has become a major topic since the election of Donald Trump, and Destiny’s debates with his highly right-wing mother. From there we delve into the topic of social shaming, how right-wing pundits like Dave Rubin try to claim the mantle of being “left”, the controversies around de-platforming, and free speech. We then pivot into the topic of Destiny’s debate with white nationalists describing themselves as “race realists” and biological determinists who rail against changing gender norms and the transgender community. During this portion of the conversation Destiny and I define the concept of social constructivism and his recent debate with Carl Benjamin aka Sargon of Akkad about transgender people. Additionally Destiny gives his take on the right’s flirtation or outright acceptance of biological determinism. At the same time, he says, many of them believe in libertarian free will. Destiny, in contrast, says he is a hardline determinist but that his determinism is more related to environmental determinism. We then delve into what actually persuades people when it comes to debates. Destiny argues that facts and logic aren’t what convinces people to change their minds. Instead, he argues. We then discuss the story of how Destiny exposed fellow YouTuber JF Gariepy, a self-described “race realist”, as a sexual predator who takes advantage of disabled women. Destiny gives his take on why JF’s supporters defended him despite the facts of the situation. We then discuss how reactionaries falsely accused Destiny of being involved in sexual abuse of underage girls, how this led to a visit from the FBI. Additionally, Destiny and I briefly discuss his banning from Twitter. We begin wrapping up by discussing Destiny’s debates with the Deplorables Choir and Jesse Lee Peterson, a black conservative media personality who refers to Trump as the “Great White Hope”. We briefly cover his latest appearance on Peterson’s show debating gun control with Vincent James. Finally we delve into Destiny’s views on capitalism. While Destiny takes a pro-capitalist view he does feel that there is a need for reform to help the most vulnerable members of our community. Then, returning guest and antifascist activist joins us to discuss his critique of VICE’s Lords of Chaos movie and how the movie obscures some of the far-right underpinning of the book it is based on. Shane argues that Lords of Chaos’s author, Michael Moynihan, paints the Norwegian black metal scene as a force of total nihilism driven by a racial awakening against modernity. Shane explains how Moynihan’s portrait of Norwegian black metal is also driven by a strange Jungian mysticism. From there we discuss Jonas Akerlund’s cinematic adaptation of the book, which Parallax Views previously covered in a recent episode with Alex Gendler. Shane takes a very critical view of the movie and feels the Akerlund’s portrait of the Norwegian black metal scene is too sympathetic given the serious outbreaks of violence that came out of the Norwegian black metal scene. From there we discuss Shane’s take on the film’s depiction of Varg Vikernes, who serves as the film’s protagonist, and how Vikernes has reacted to it. 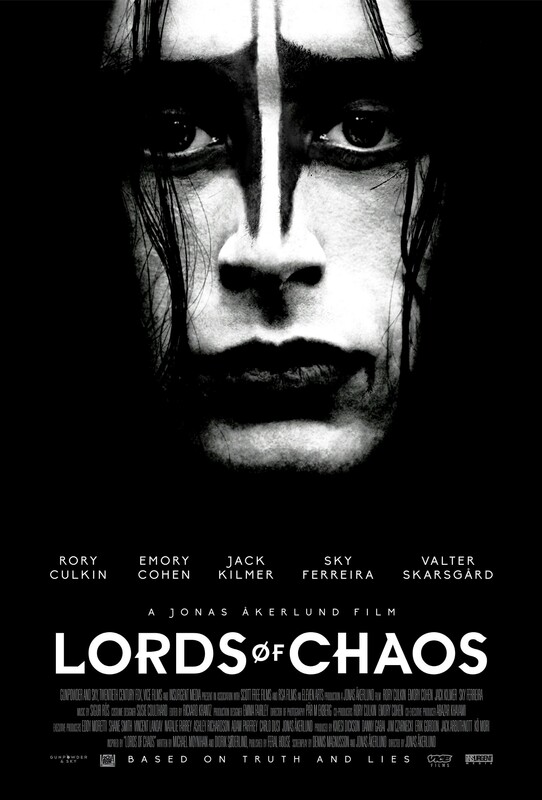 I then ask Shane what he believes was the impetus behind adapting Lords of Chaos. Additionally, Shane gives his overall take on why the movie’s depiction of the events that make up Norwegian black metal’s early history is irresponsible. 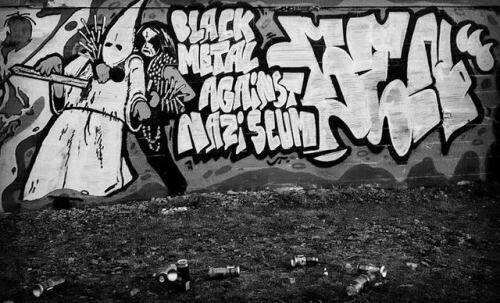 Shane points out, however, that the black metal scene as a whole is not fascist and that fascism only makes up a small part of the scene known as “National Socialist Black Metal” (NSBM). From there we discuss Shane’s upcoming article on antifascist black metal bands like Feminazgul and Neckbeard Deathcamp. We then use this as a launching point to discuss Shane’s work attempting to highlight antifascism in the neofolk scene, a genre prevalent in the goth subculture that is dominated by a Nazi element. We then wrap up by looking at the Christchurch terror attack and it’s fallout. How has the alt right reacted to the events and what what does it mean for the revival of white nationalism? How can events like this be prevented in the future and how can antifascists continue to pushback against this movement? Shane answers some of these questions and the hope there is for antifascist action going forward.